Bingin Beach Bali is one of my favourite places in the world. 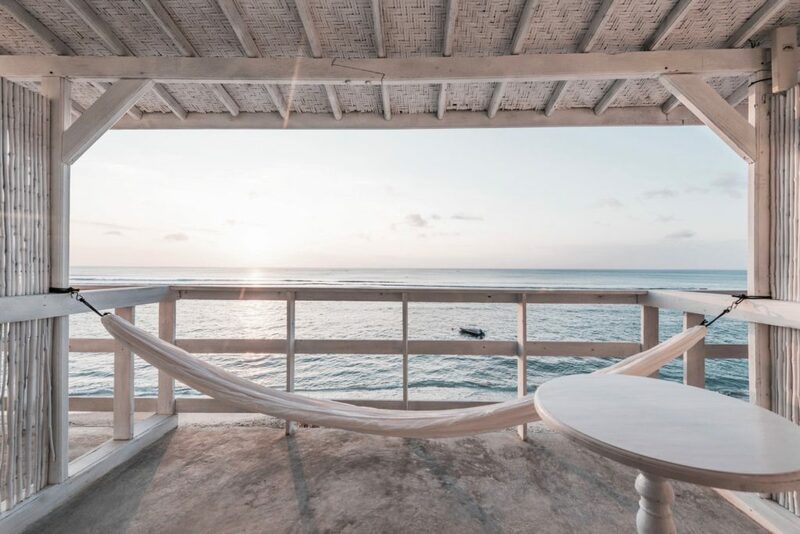 Apart from its breathtaking beauty, relaxed surfer vibe and rustic accomodation, there’s a certain sense of calm you feel when descending the sea-facing steps which seem to go on forever. You weave through cute little warungs built into cliffs and once those waves touch your toes you really know you’ve arrived in paradise. Some of the best times I’ve had in Bali were spent watching the sun go down on Bingin Beach, eating fresh prawns, sipping Bintangs and bonding with free spirits from all over. 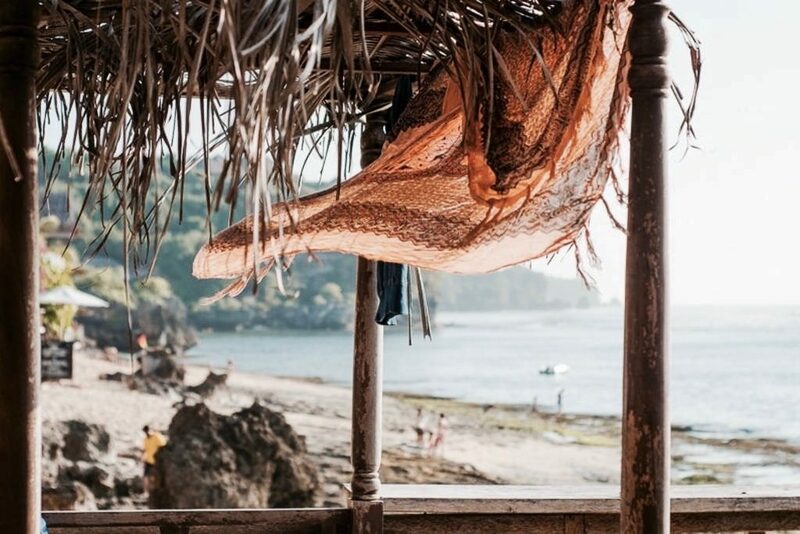 Bingin Beach Bali truly is one of the only places left in the south where you feel like maybe, just maybe, you travelled in a time-warp to the Bali of the seventies, where an eclectic mix of surfer gypsies and yogis are hanging ten without a care in the world. The Cashew Tree Cafe… for fresh salads and organic smoothies. 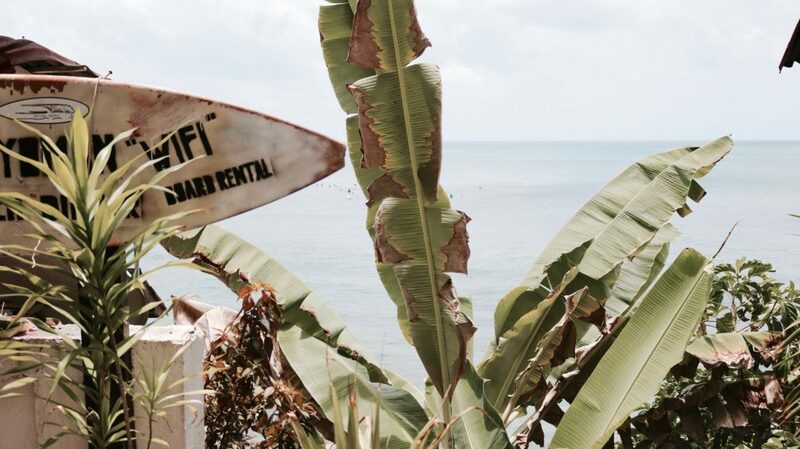 Kellys Warung… for cheap comfort food and Bintangs after surfing. 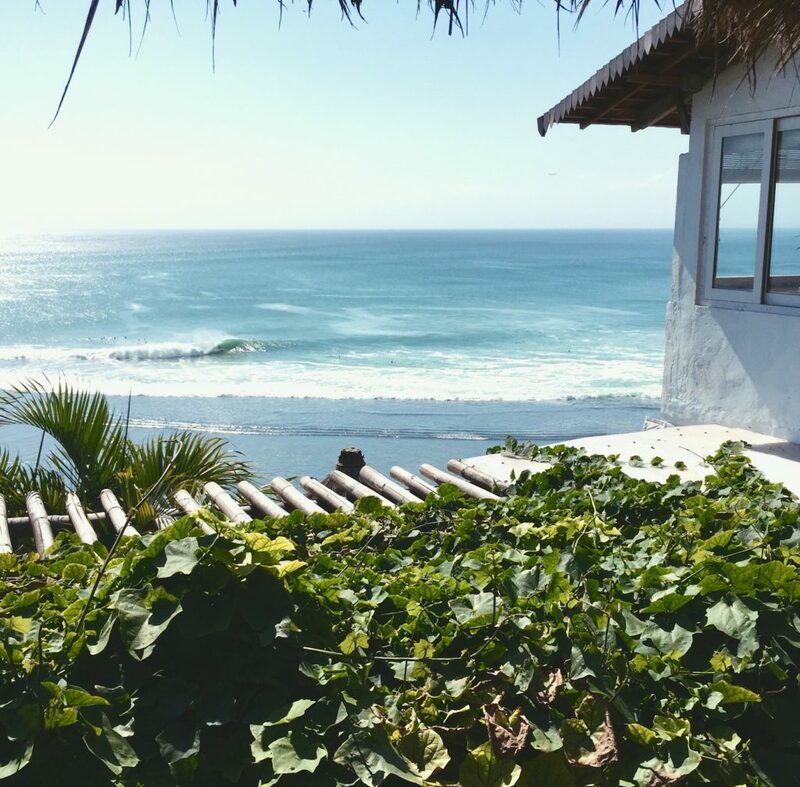 The Sun and Surf Stay… for clean, inexpensive rooms with best view in the world! Lucky Fish… for the best grilled seafood cooked right on the beach! El Kabron… for a slightly upmarket evening feast with sweeping cliff-top views. Mu Resort… for when you want a bit of pampering and a massage. 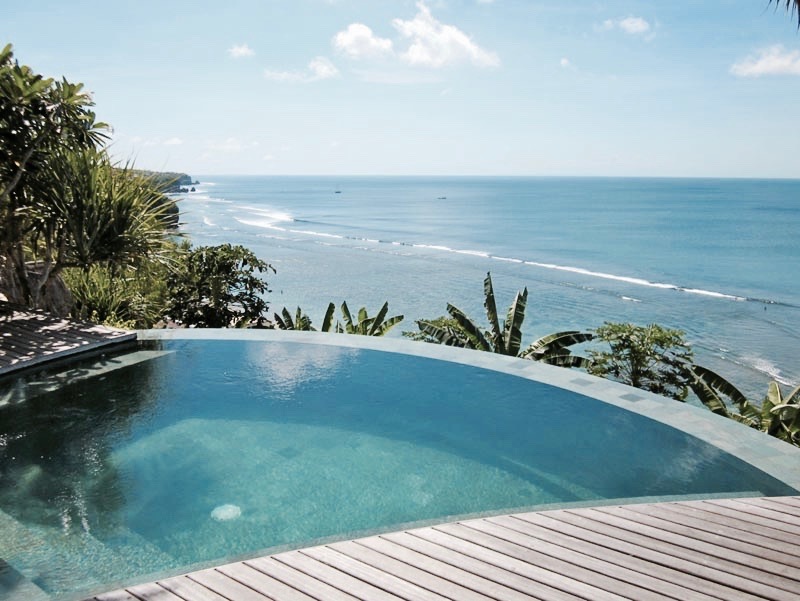 Mick’s Place… for the infinity pool with sweeping views across the peninsular and eco-rooms on top of the cliff (if walking up and down cliff stairs all day isn’t your bag). 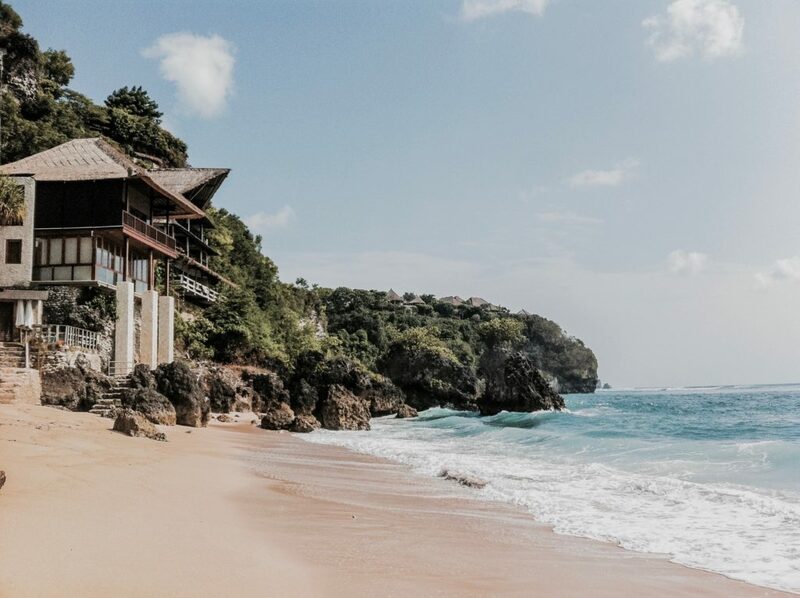 If you want to make the easy trip to Bali to check out Bingin Beach, Jetstar Airways has daily flights from most major cities in Australia direct to Denpaser International Airport. You’ll be flying on their hi-tech Boeing 787 Dreamliner if you depart from Brisbane, Sydney or Melbourne, which provides a better in-flight experience as the aircraft is 60% less noisy than other planes their size. They also emit less nitrous oxide, meaning they are better for the environment and have low cabin altitude which enables passengers to absorb more oxygen on board. Say bye-bye to being drowsy and hello to uninterrupted sleep! To book flights, visit Jetstar.com. 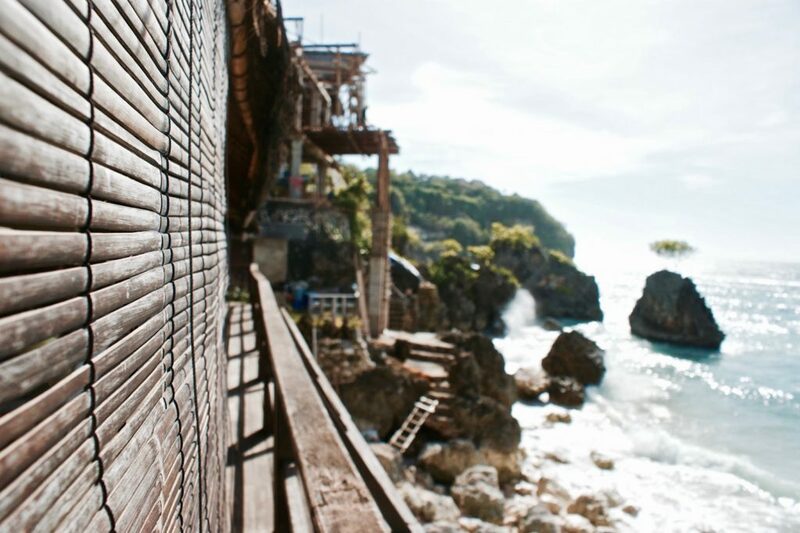 Once you’ve landed in Denpaser, Bali, you’ll need to take a 60 minute cab ride to Southern Bali to reach Bingin Beach. 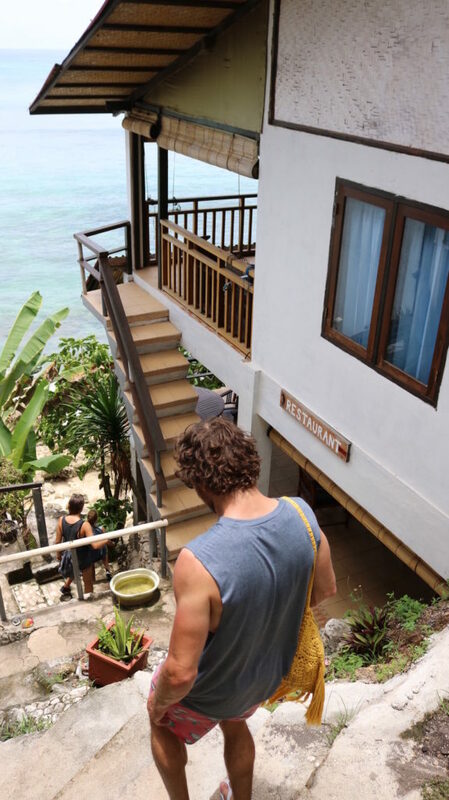 Some accomodations are situated on top of the cliffs, but some, especially the guesthouses, are etched into the steep cliffs facing the ocean. If you’re staying here, make sure you speak to your accomodation to arrange porters to carry your bags up and down the stairs (make sure you tip them at least 20.000Rp). 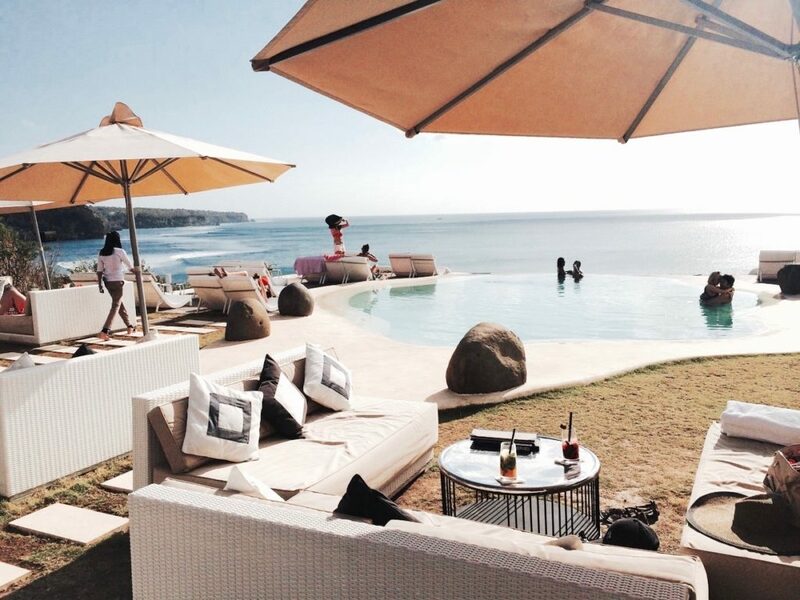 Stefanie from A Modern Wayfarer was sponsored by Jetstar to visit Bali in September 2016. As always, she’s keeping it real, and all opinions are her own.